Shot on a Sunday in a lane near my house. Yes-this is beautiful tree with a fern like leaves! Nice colors! 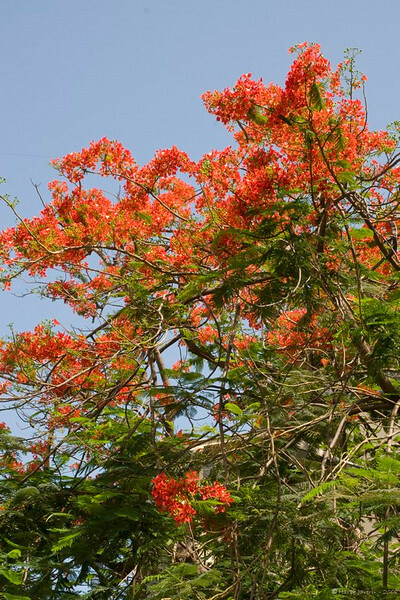 It is also known as Flamboyant/Peacock Flower/Flame of the Forest/Flame tree. Great contrast against the sky! Cool shot of the tree. Nice colors.